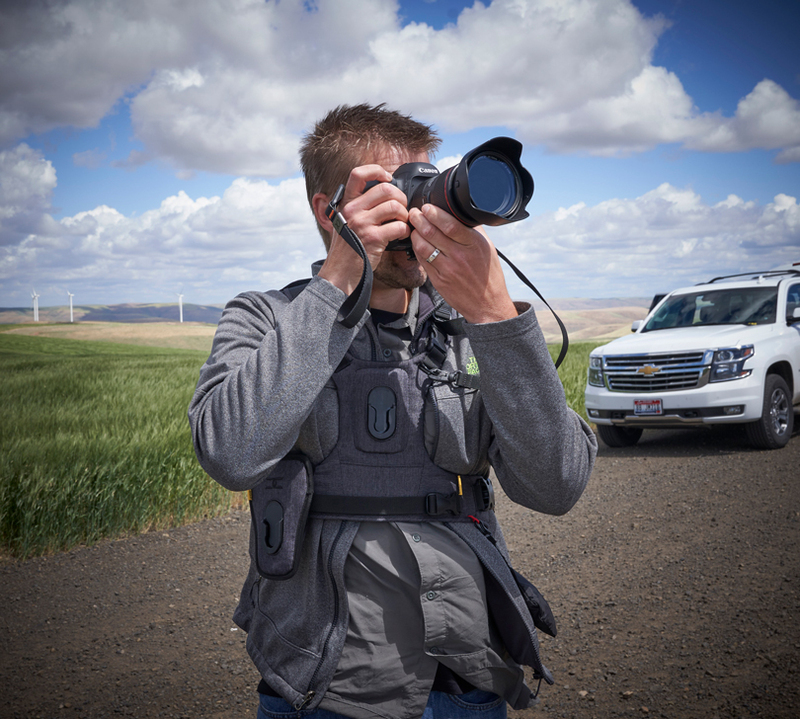 Have you ever been challenged wanting to carry multiple cameras into the field but find neck straps and shoulder straps painful and inconvenient to use? Well, I may have found the answer. 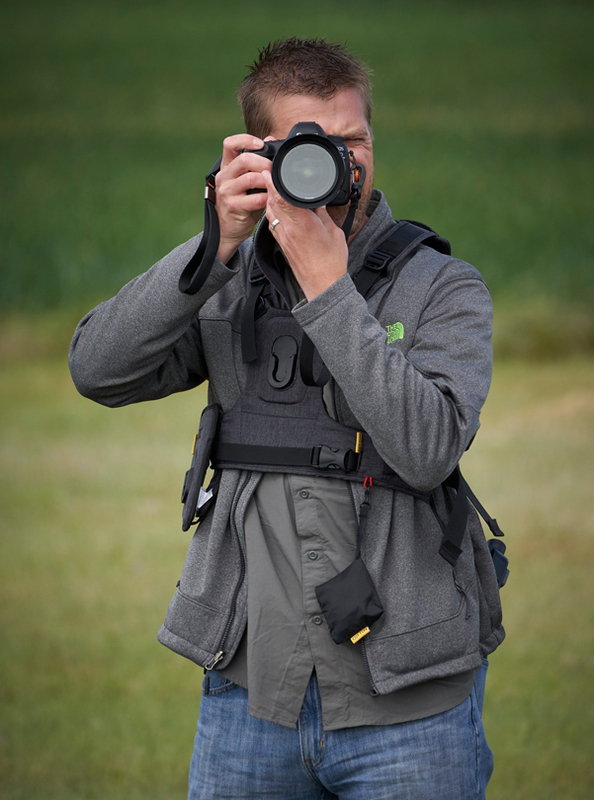 I recently took the Cotton Carrier G3 Harness for a little test spin and I have to admit I really enjoy using it. 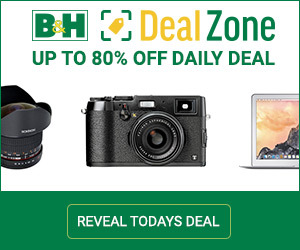 The weight distribution and easy access to two cameras is terrific. 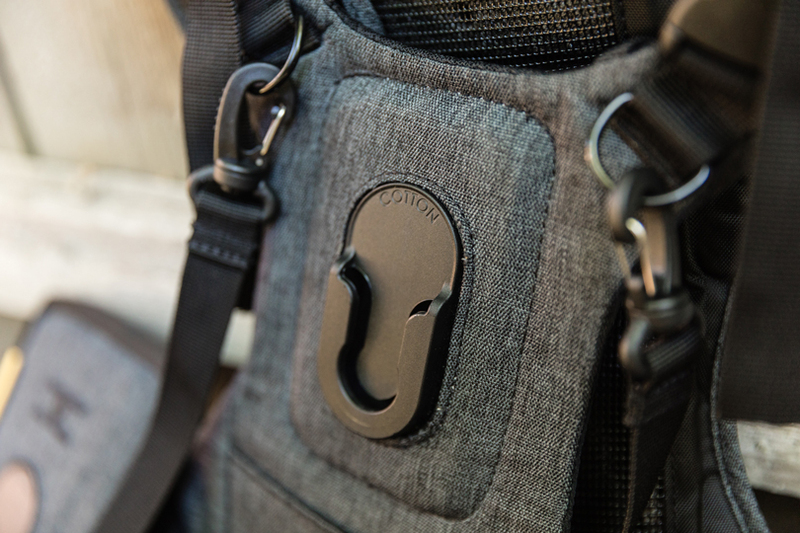 The vest is also highly adjustable, making it very customizable and comfortable for the user. Having shot a fair amount of weddings and events where I had to use two cameras for many hours, I can see how this harness would really take the strain oﬀ of my neck. It’s built incredibly well and has a good aesthetic. 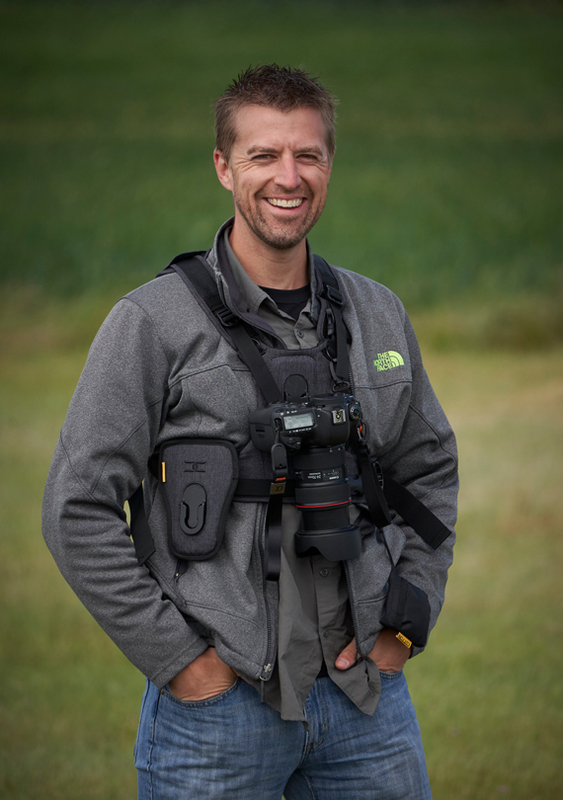 It certainly seems that this vest is marketed toward the adventure photographer. I can see the benefits of being able to go on long hikes with easy accessibility to your cameras while also having the ability to holster the cameras to free up both hands. The set up is easy and customizable. 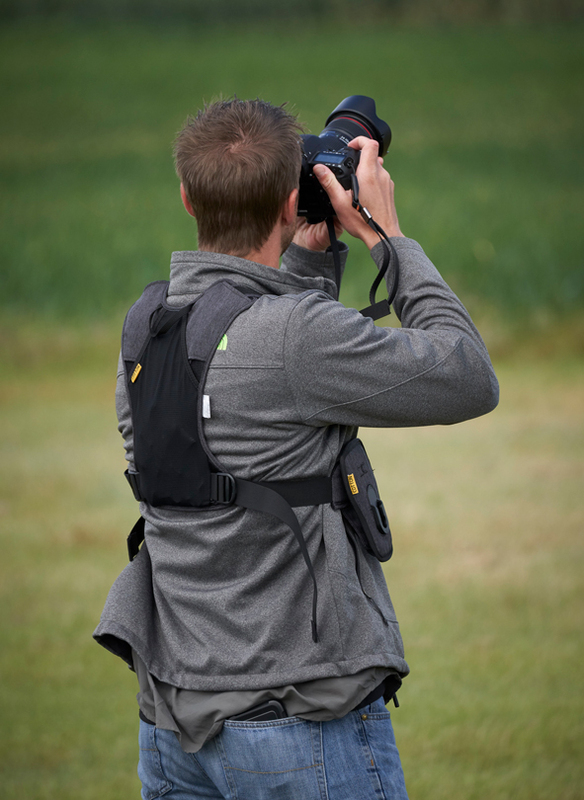 The harness comes with two of the patented twist & lock camera mounts. 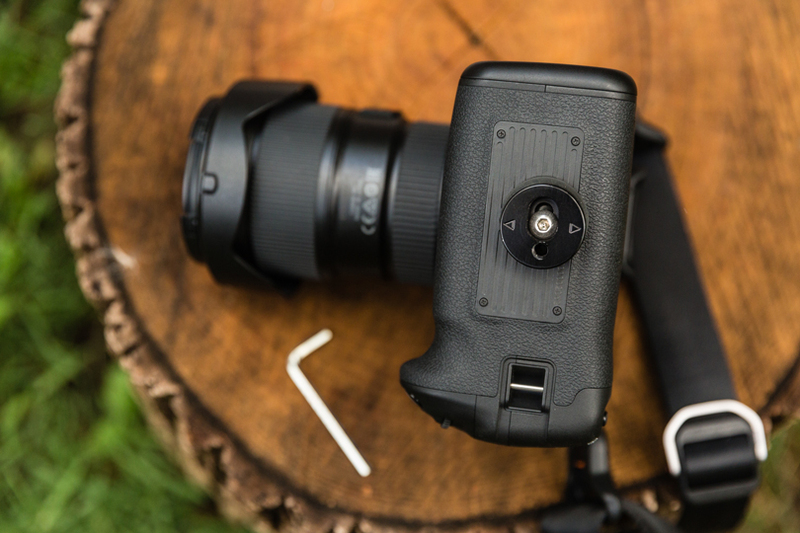 They attach easily to the bottom of your camera and are very well built and secure. The mounts attach to the camera using an included allen wrench. Like anything with small pieces be sure to keep the wrench in a place where it will not get lost. If you need to take oﬀ the mount or tighten it you must have that wrench. 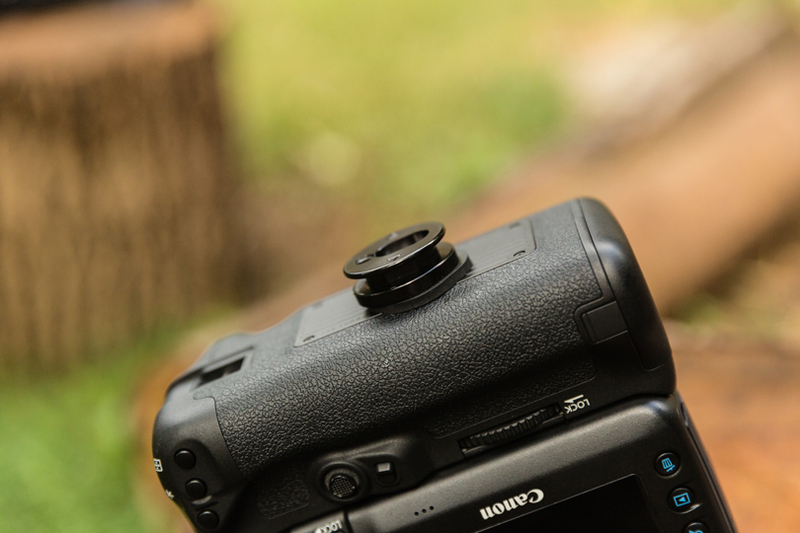 The twist & lock camera mounts also have a 1/4” screw mount at the bottom. It’s nice to have but if you attach another plate to it you would obviously need to take it oﬀ again before mounting back to the harness. It beats having to use the allen wrench to take oﬀ the mount only to mount another plate back onto the camera. The shoulder and waist straps are nice and adjustable so you can fit the harness to your liking. The one downside I found was when I was in a low crouched position, which I tend to be in often, I found that the second camera disconnected from the holster because my knee came up and hit my camera lens just right. 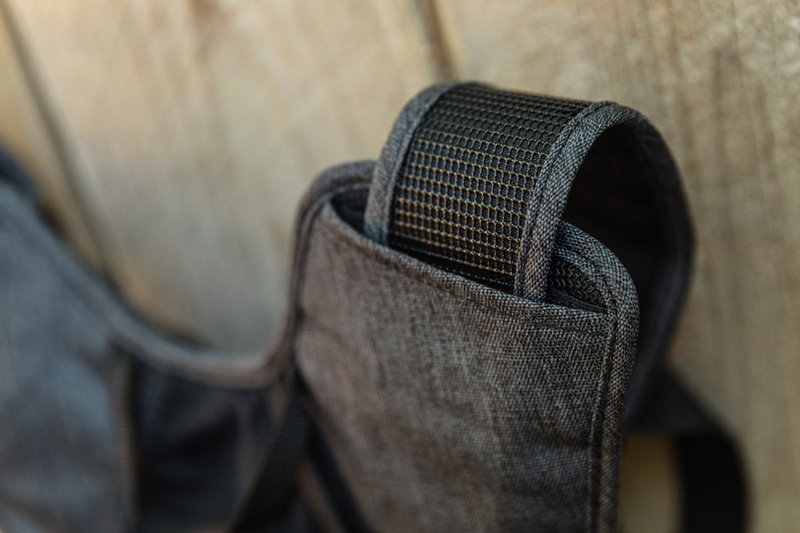 You can detach that second holster and attach it to your belt so you can move it further back, but it is designed to stay in that specific spot on the harness and the velcro make it more secure than using a belt. It’s certainly not a deal breaker and now that I am aware of it, I don’t see it being a problem. 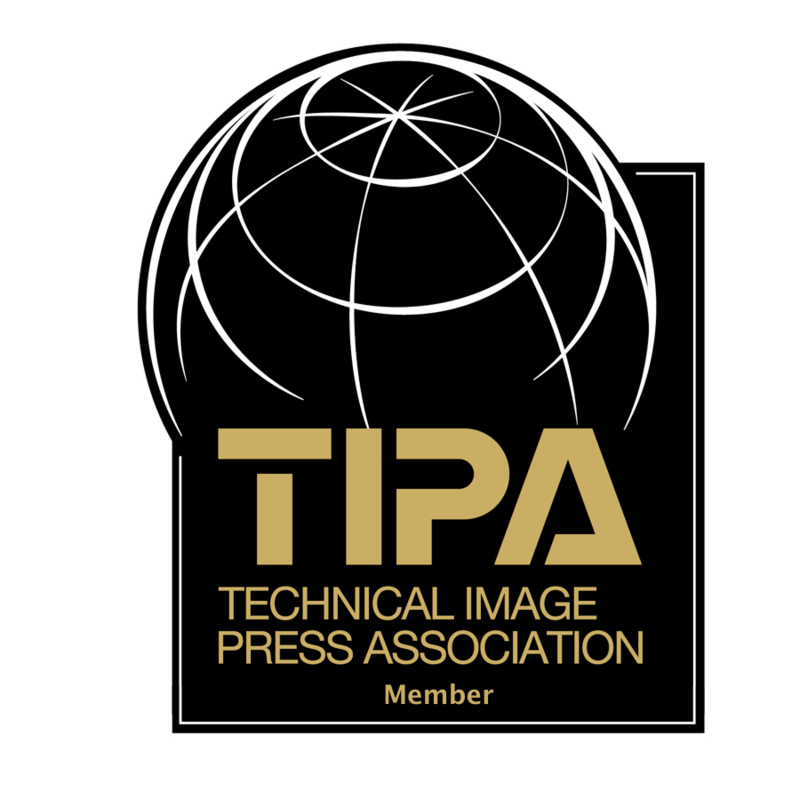 I also used both tether straps as a security precaution and did find that they sometimes get a little tangled or cumbersome, but the extra security is worth a little fumbling around once in a while. I’d much rather deal with that then have my camera land a rock. You will see in the video that I was wearing a backpack. 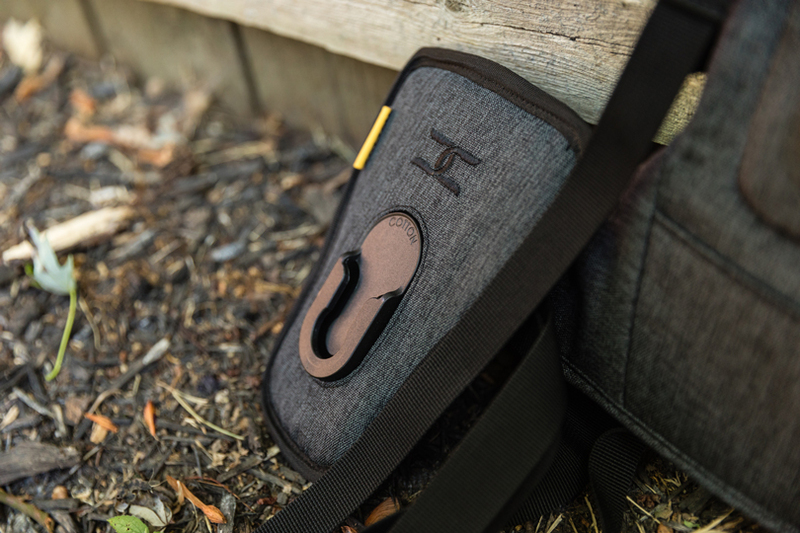 The harness is designed to carry a secondary pack, which is a good idea for transporting additional lenses, snacks, water etc. The harness does have three slash pockets but they are small and the one on the back is diﬃcult to access while the cameras are holstered. Overall, it’s a great way to #harnessyourphotography. Check out Cotton Carrier products here. To see the harness I was wearing click here. Follow Cotton Carrier on Instagram: @cotton_carrier and on facebook here.